M2M Condo is a new residential condominium development coming up by Aoyuan Property Holdings at Yonge & Finch in North York. Development will be positioned at 5915 Yonge Street and is planned to have 5 towers comprising approx 1,600 mixed condo units. Aoyuan has been around since 1996, and were the first developer in China to integrate sports and recreation facilities into primarily residential projects. Embodying the idea that healthy living starts at home, Aoyuan’s Olympic Garden development was sports-themed, and as endorsed by the International Olympic Committee, set a new standard for master-planned communities in China. 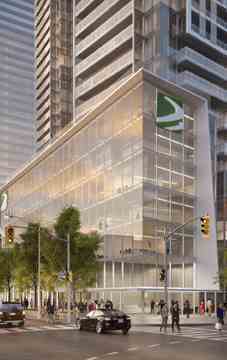 M2M condominiums are located at 5915 Yonge Street, North York. Being close to three major highways – Express Toll Route, Hwy 401 and Hwy 404 –the condos are highly accessible from anywhere. 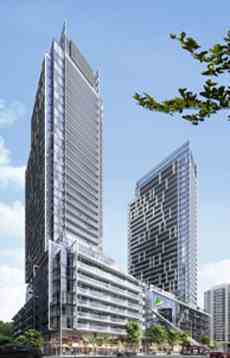 Proximity to downtown Toronto is another prime advantage of living in M2M Condos on Yonge & Cummer.